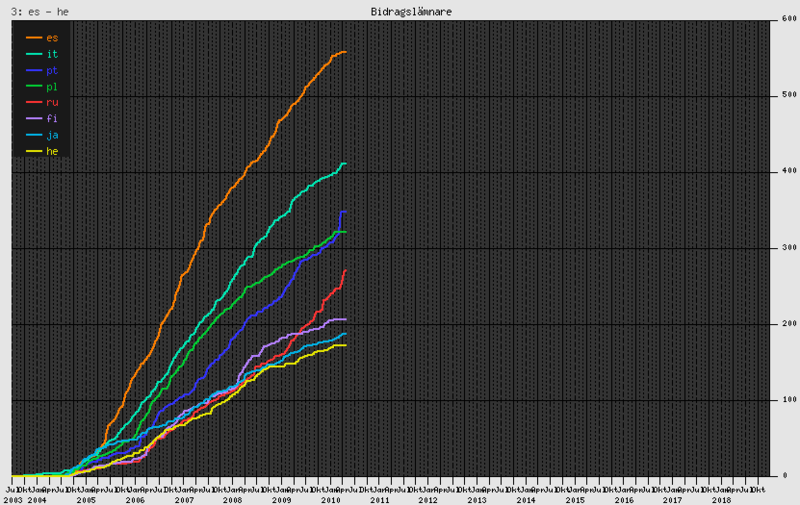 These charts are no longer updated and are only kept for historic reference. 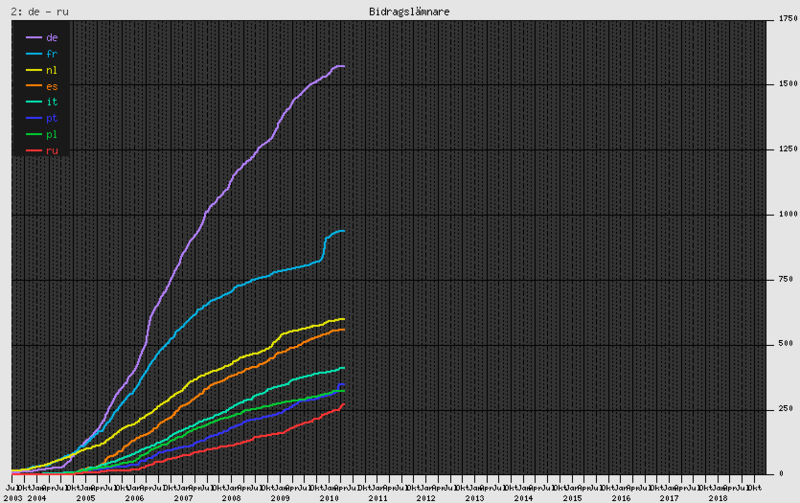 Since 2011 there is a summary page for every wiki, where core metrics are plotted. For individual summaries follow links from project sitemap. There are also collections of summaries per project. 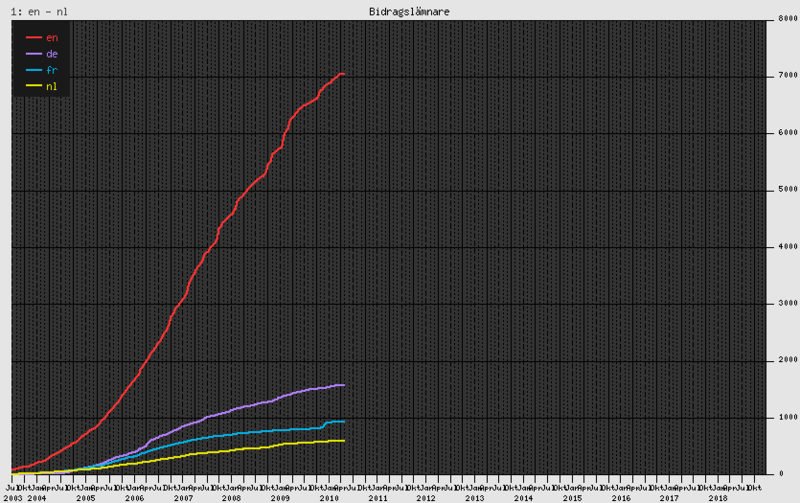 For comparison between several languages see Wikistats 2.